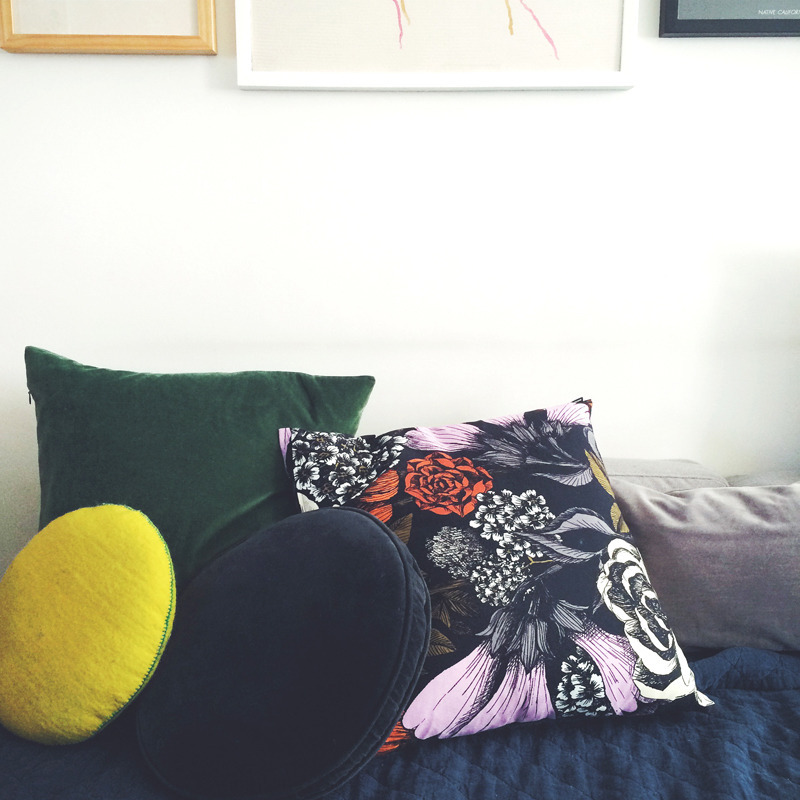 Photo courtesy of Land of Nod. 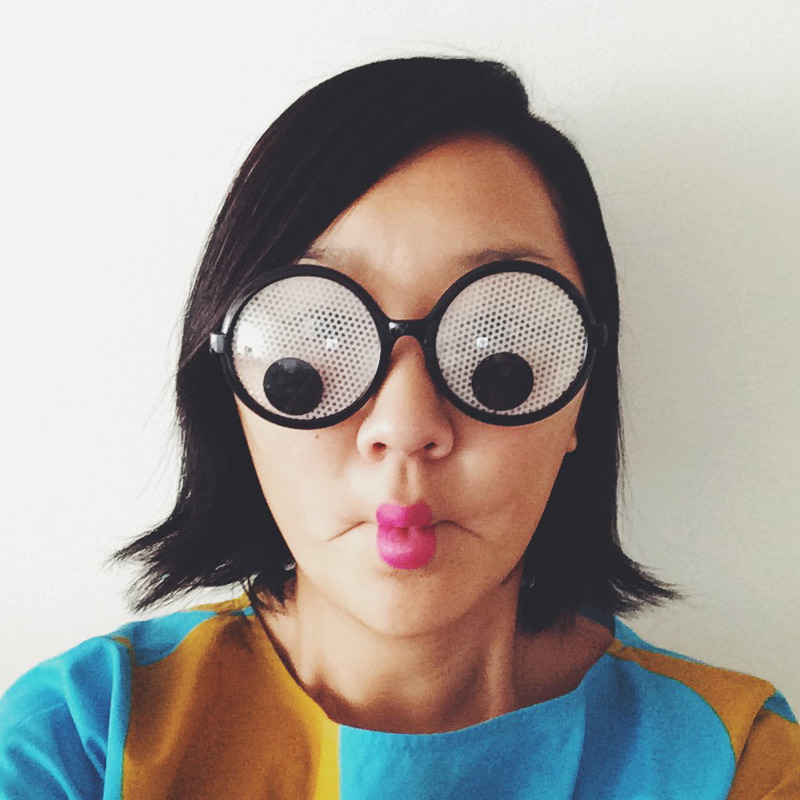 Erin Jang—illustrator, designer, mother, and craft-maker extraordinaire—is the talent behind our partner The Indigo Bunting. As loyal followers of @theindigobunting’s Instagram account, we often feel the sudden urge to doodle with colored markers or wish that someone would turn our lunch into a funny face. We asked Erin to take us through a day in her life around New York City—partly so we could see how she spends her time and partly to sneak more peeks of her adorable son, Miles. And, if you’ve got a penchant for crafting, do check out the launch party for her new craft book this Tuesday, November 4th (invitation below). 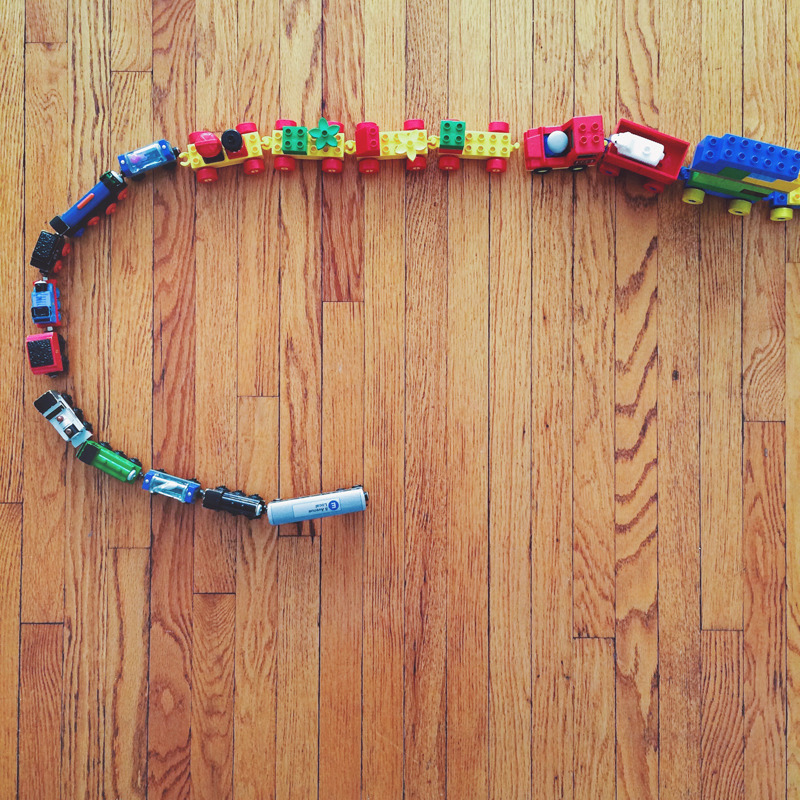 My day starts with the sound of my 3-year-old son Miles singing at the top of his lungs. I usually try to wake up a little earlier than he does, to have some quiet time for myself, but today we both slept in. I get Miles washed up and ready for school and fix his breakfast. 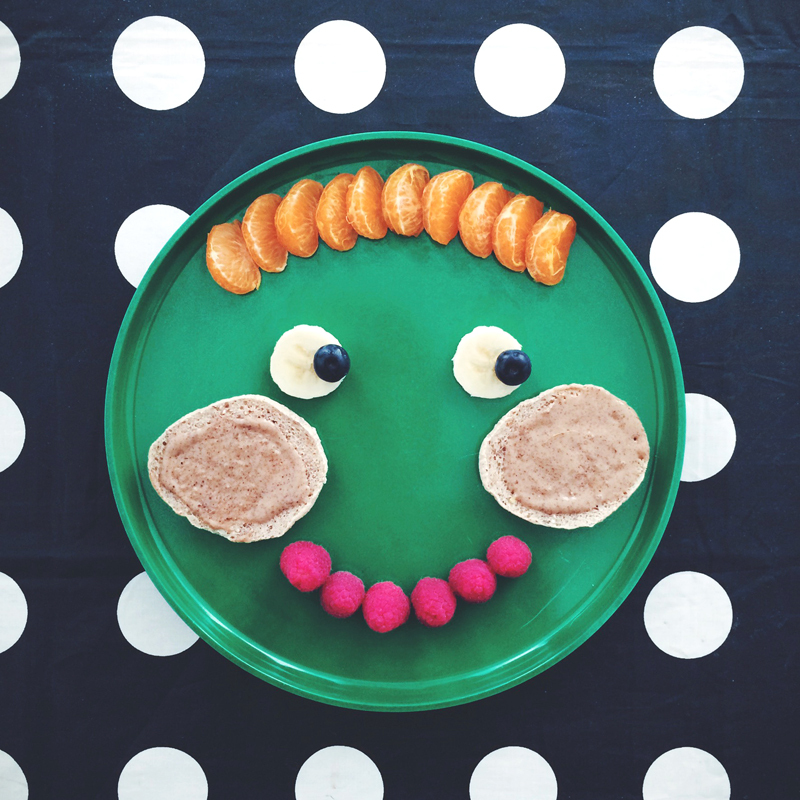 Every so often I make these food faces for his breakfast and today he asked for “a big giant smiley one”—I hope it’s a good sign for an awesome day ahead. My husband leaves for work much earlier in the morning, but he always makes an extra cup of coffee for me; I try to gulp it down while I pack my son’s lunch and get us both out the door. Unless it’s raining, snowing, or bitterly cold I usually take Miles to school by bike. It’s just a 15 minute ride crosstown. He loves his watermelon helmet and waving to all the taxis and construction diggers we pass on the way to school. Today we happen to bike behind two fire engines, and Miles is over the moon. 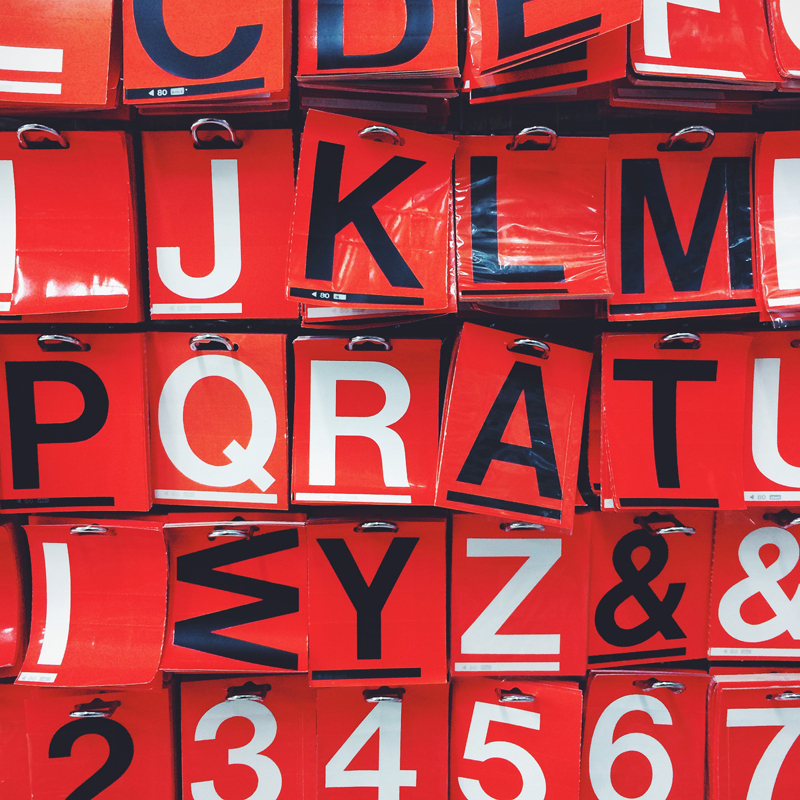 Once I drop my son off at school, I’m usually in a rush to run errands. I stop by Trader Joe’s and quickly pick up a few things for the week (in NYC, the mornings are the best time to shop for groceries—almost no line! ); then I bike to an art store to get cardstock and supplies for an illustration project I’m working on for a magazine. Today I need to make a special stop at Economy Candy (one of my favorite shops on the Lower East Side). 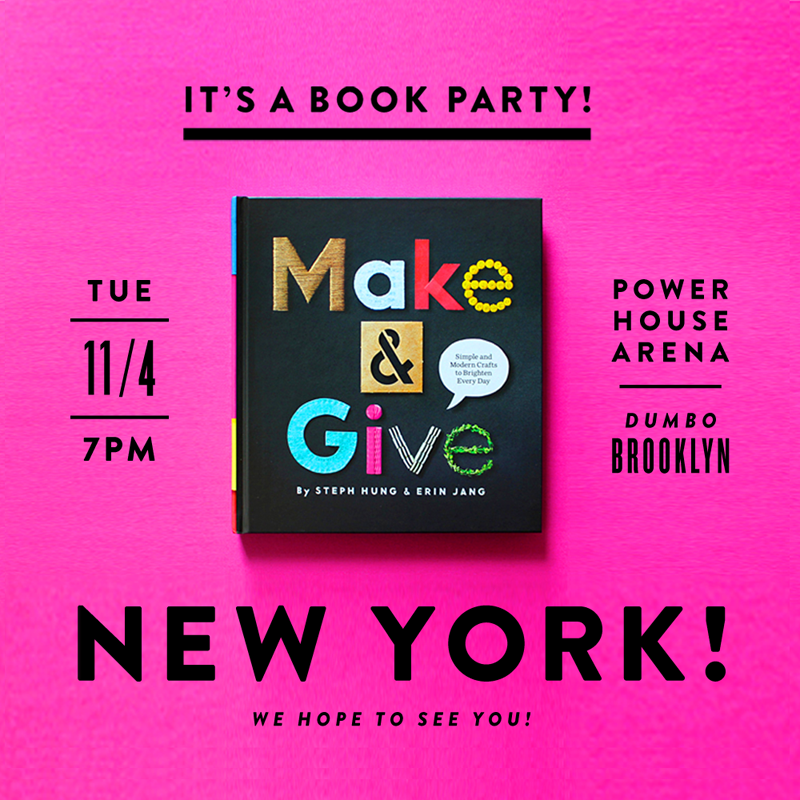 My friend and I wrote a craft book called Make & Give, and we’re celebrating with a book launch event at Powerhouse Arena this Tuesday night (come on out, all are invited!). 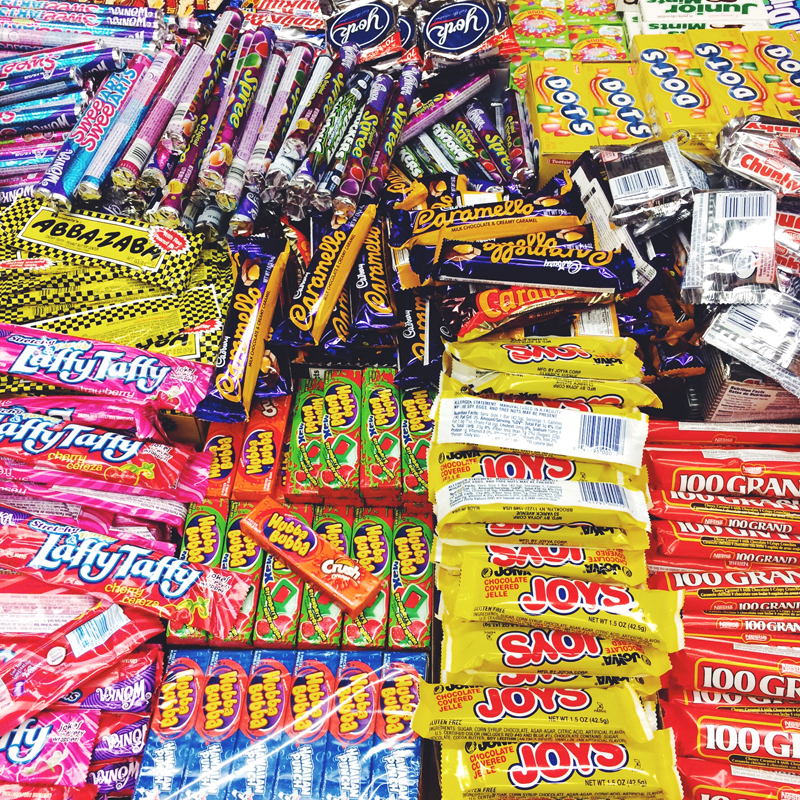 I need to buy several bags of candy for a special project from the book that we’ll be sharing with everyone at the party. Every time I’m in this candy store I’m inspired by a new color combination or some fun vintage candy packaging. Back at my desk to work. I feel grateful that I get to work on a range of projects. 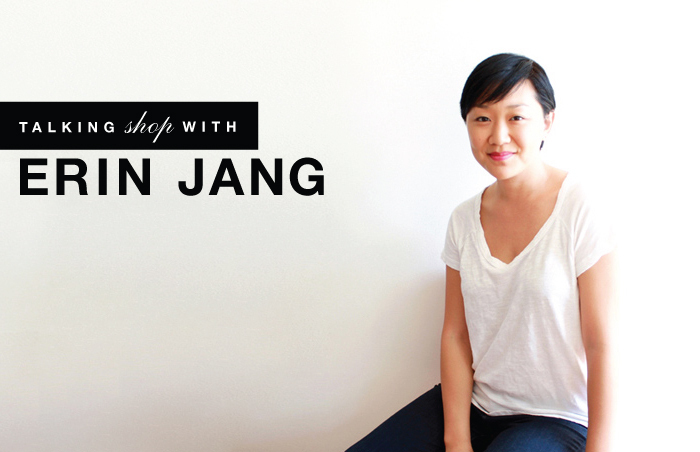 I used to work full time as an art director at magazines (Martha Stewart Living, Esquire, etc.). But since I started my design studio, The Indigo Bunting, a few years ago, I’ve been able to work on a larger spectrum of design work. I like that my work day looks a little different week to week. Some days I am behind a computer designing a magazine story or a book cover, or creating a pattern for children’s bedding. Other days I’m on set at a photo shoot, designing a poster or cutting out small pieces of paper to collage a magazine illustration. 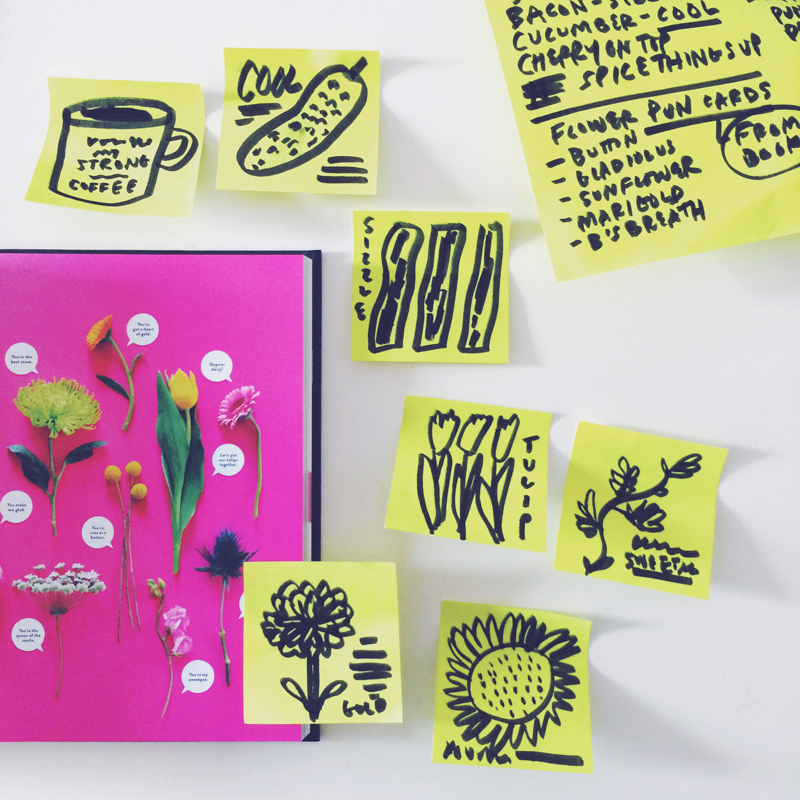 Today I am sketching ideas for next season’s cards and invites for Paperless Post. Valentine’s Day cards are on my mind. I love illustrating food pun valentines, so I am working on a few more for next February, along with brand-new floral pun cards (based on a project from my craft book). When I’m working I like to put some music or a podcast on and plow through as much as I can, before I pick up my son from school. I usually forget to eat until about 2 or 3 pm when I realize I’m starving! I eat some leftovers from last night, then switch gears and work on some more projects for Tuesday’s craft book event. 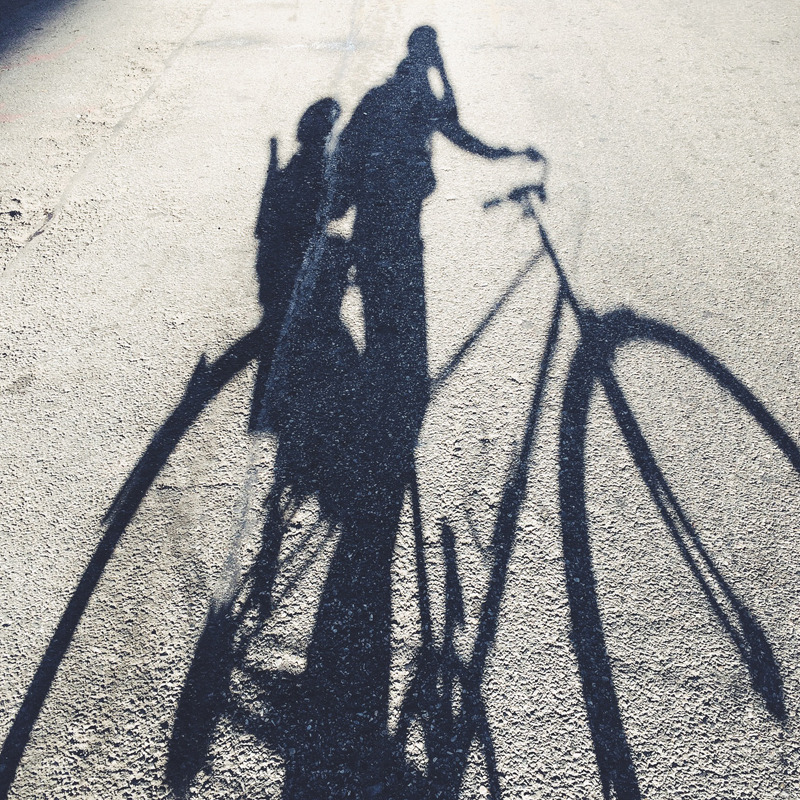 The Union Square farmer’s market is close to our home, so at least once a week, Miles and I will bike there after school. I let him pick out one fruit and one vegetable. 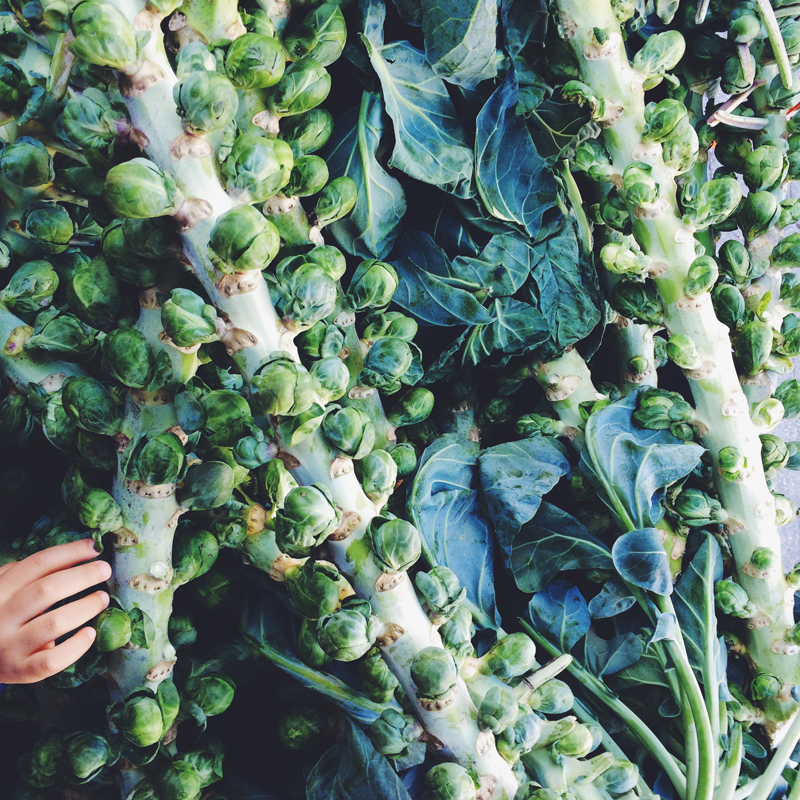 Today he picked out a green apple, a head of Romanesco and a giant $5 Brussels sprout stalk. I get a lot of inspiration for new food cards and illustrations while walking through the farmer’s market. Somehow I manage to stuff the giant Brussels sprout stalk into my backpack and bike home with it. In the afternoon Miles and I try to have a little creative time together. 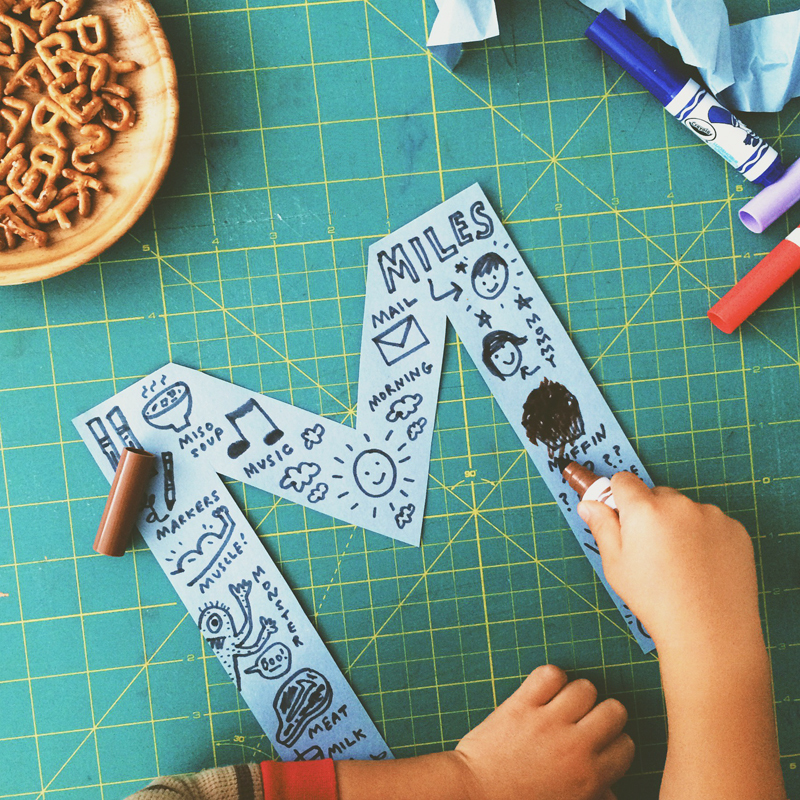 We have an ongoing alphabet project we’ve been working on—today, we’re working on the letter M. We come up with the words together, I draw (shoddily), and Miles colors it. He’s so proud of our little collaboration. Miles loves trains. He plays for a bit and watches an episode of Thomas the Train, and that gives me some time to get dinner ready. I love to cook, and I find it really satisfying to have some time alone in the kitchen to make a meal. Good ideas for an illustration, or solutions for a design I’ve been struggling with will come to my head while I’m cooking. Dinner with Miles, then the evening kid-routine-crazy-time begins. Someone doesn’t want to get ready for bed tonight, so I put on these wacky glasses to get a laugh out of him and trick him into flossing his teeth and putting PJ’s on. My husband gets home in the nick of time to read Miles a book and put him down for bed. Favorite time of the day—just getting to relax with my husband. We have a late dinner, watch last night’s Daily Show & Colbert and catch up on each other’s day. We’ve had lots of friends staying with us recently so our sofabed is still out in the living room, and we secretly don’t want to fold it up because it feels just too awesome sprawling out on it, with the music on and a pile of good magazines to read. 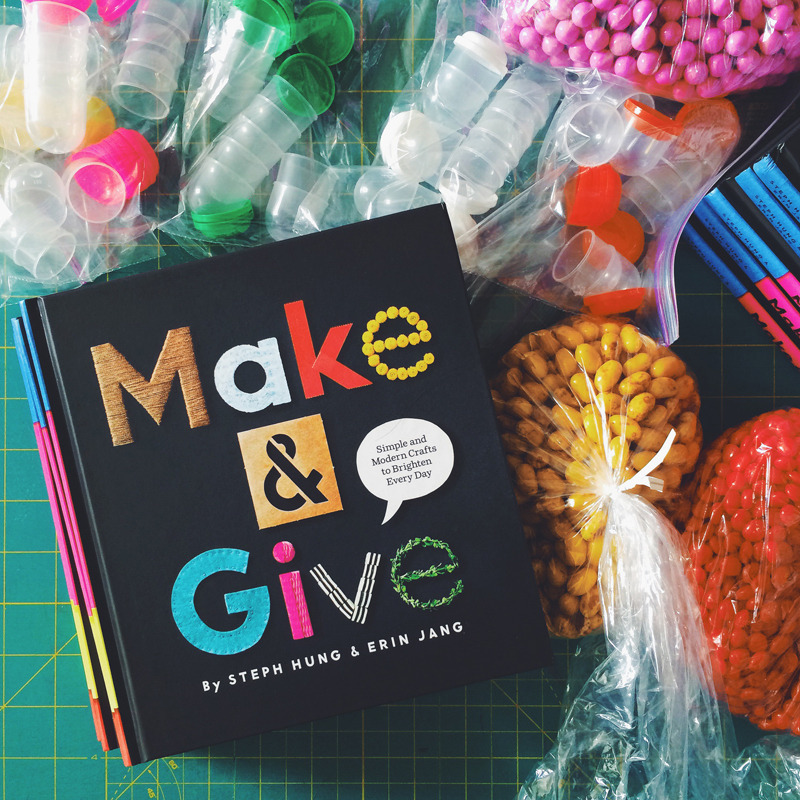 Erin is having a launch party for her new craft book, Make & Give. All are invited to DUMBO for a Q&A with the authors, mingling, and treats. View Erin’s collection of invitations and cards at paperlesspost.com.